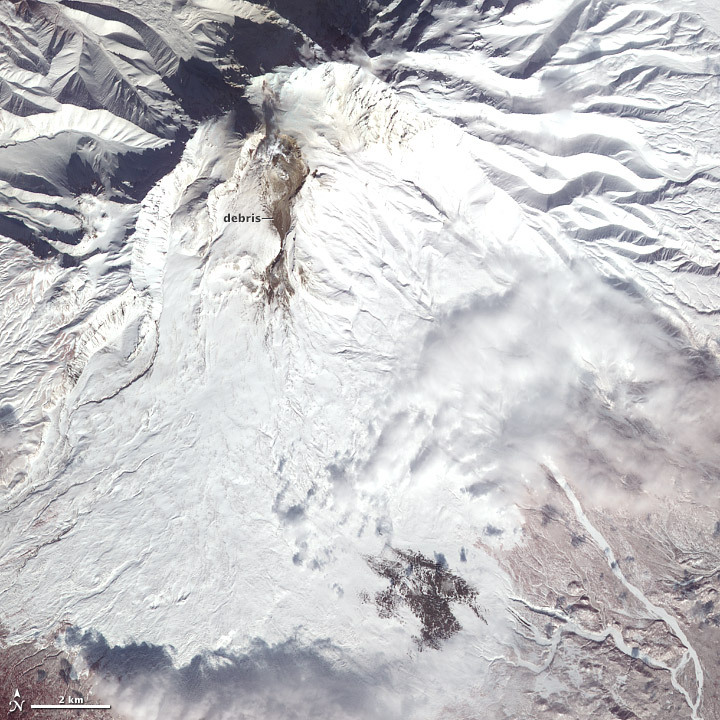 Snow, ash, and debris cover Shiveluch Volcano in these false-color (near infrared, red, and green) satellite images. The images show changes on Shiveluch over a two week period. 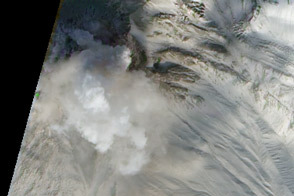 On March 2, 2013 (top image), ash was spread over a large area, carried by shifting winds. 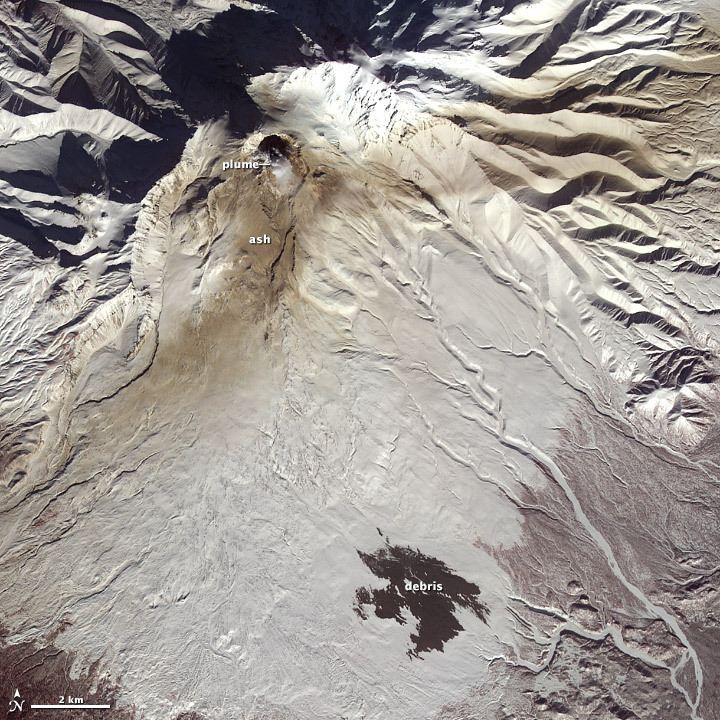 Debris from Shiveluch’s lava dome was funneled south by a narrow couloir, traveling as much as 14 kilometers (8.7 miles). 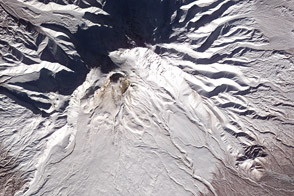 By March 18 late winter snow had obscured the ash, but fresh debris darkened the slopes directly south of the dome. 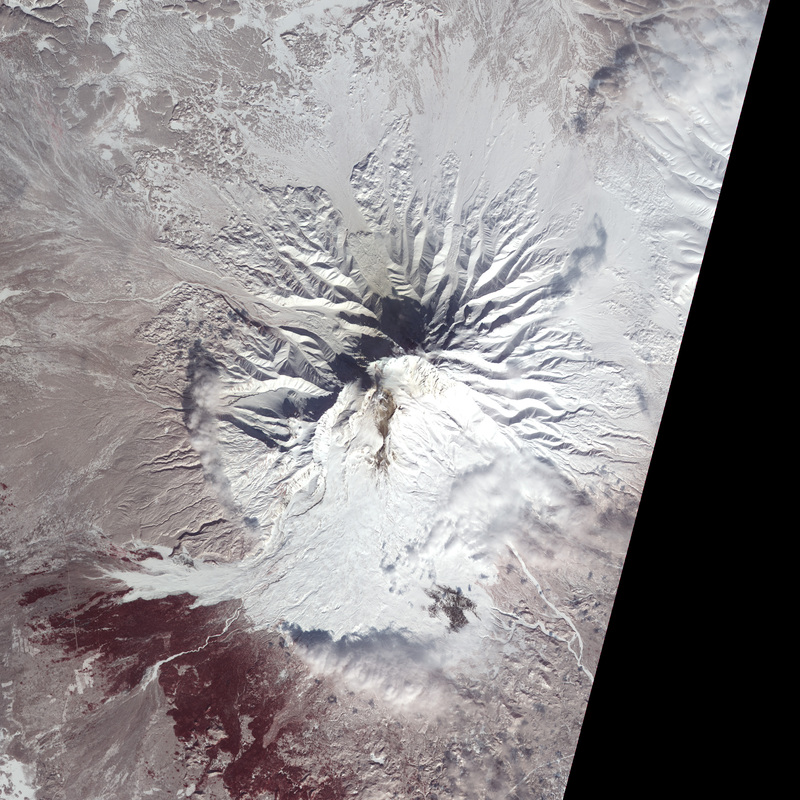 These images were collected by the Advanced Spaceborne Thermal Emission and Reflection Radiometer (ASTER) on NASA’s Terra satellite. In addition to changes caused by the continuing eruption, the landscape appeared brighter on March 18 because the sun was higher above the horizon (both images were acquired at the same local time, and processed identically). 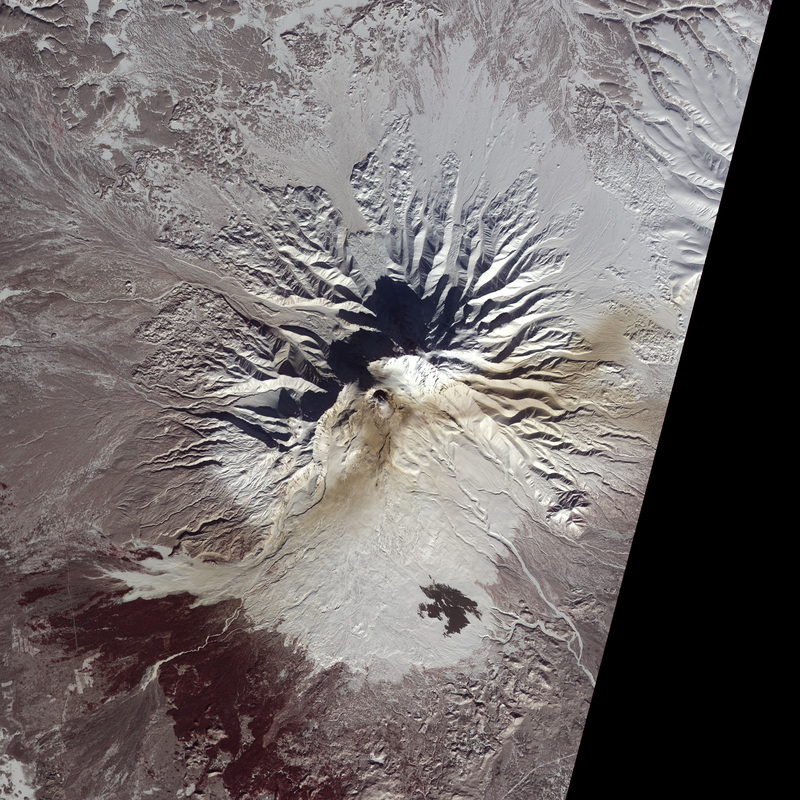 NASA Earth Observatory image by Jesse Allen and Robert Simmon, using data from the NASA/GSFC/METI/ERSDAC/JAROS, and U.S./Japan ASTER Science Team. 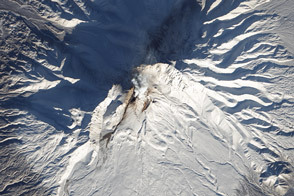 Ash and debris continue to change the look of Shiveluch Volcano.